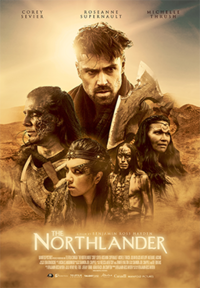 The Northlander is a 2016 Canadian fantasy adventure film written and directed by Benjamin Ross Hayden. The film stars Corey Sevier as Cygnus, Roseanne Supernault as Mari, and Michelle Thrush as Nova. The film was produced by Benjamin Ross Hayden's production company Manifold Pictures and filmed in Alberta. The film premiered at the 40th Montreal World Film Festival. The film was selected in the Perspective Canada program at Cannes in 2016. It was distributed under the banner Raven Banner Entertainment theatrically in Canada. The Northlander was lauded as one among "8 of indigenous cinema's most important films" by i-D magazine. The Northlander theatrically opened in over ten major cities across Canada between October 2016 and April 2017. This webpage uses material from the Wikipedia article "The_Northlander" and is licensed under the GNU Free Documentation License. Reality TV World is not responsible for any errors or omissions the Wikipedia article may contain.